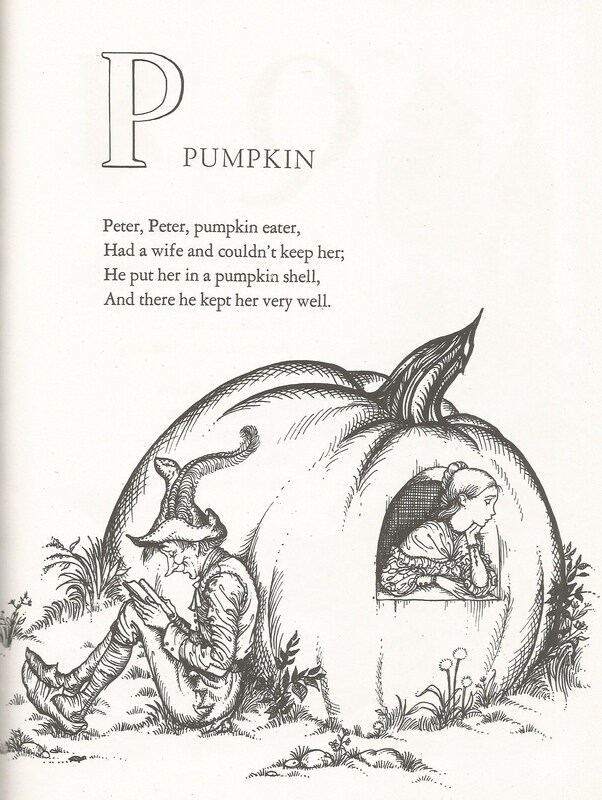 We bought this book of ‘In a Pumpkin Shell’ a couple of years ago. I think it came from a charity shop in Southwold, but I’m not one hundred per cent sure… we’ve got that many books, and have bought so many of the years that I can’t keep track of them all. 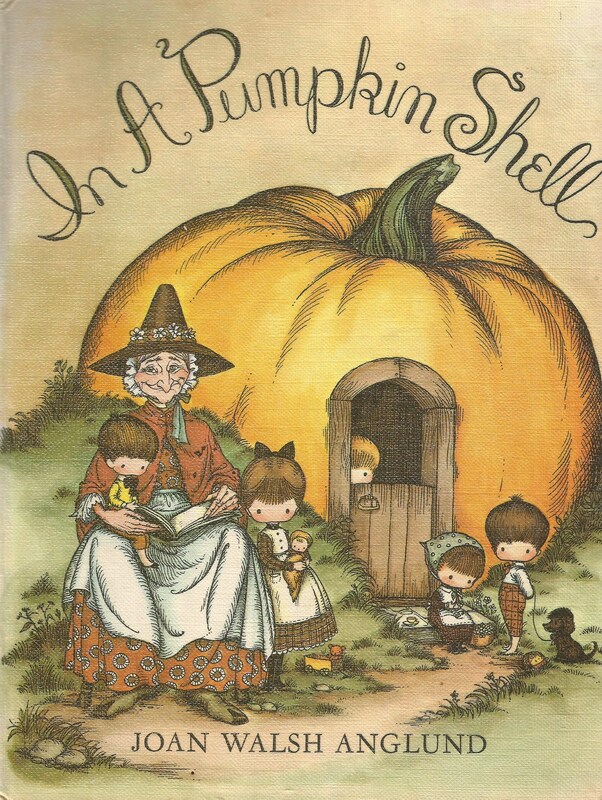 I really loved the front cover of this, and if it’s the trip I’m thinking of that we bought it on, it was near to Halloween and the pumpkins seemed perfect. 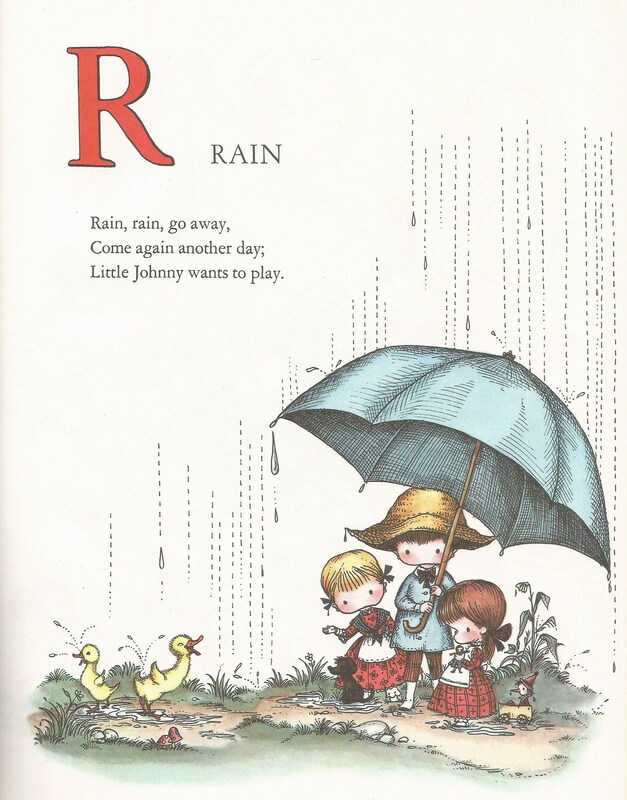 Joan Walsh Anglund is an American poet, illustrator and children’s book author. 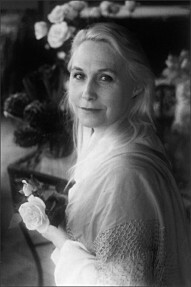 Born in 1926, she has authored over 120 books which have sold over 50 millions copies worldwide. She also dolls, greetings cards, glassware, clothing, tea sets and many other products. I recognised the style of pictures, but I didn’t consciously know who they were by, or that they were even by one person. 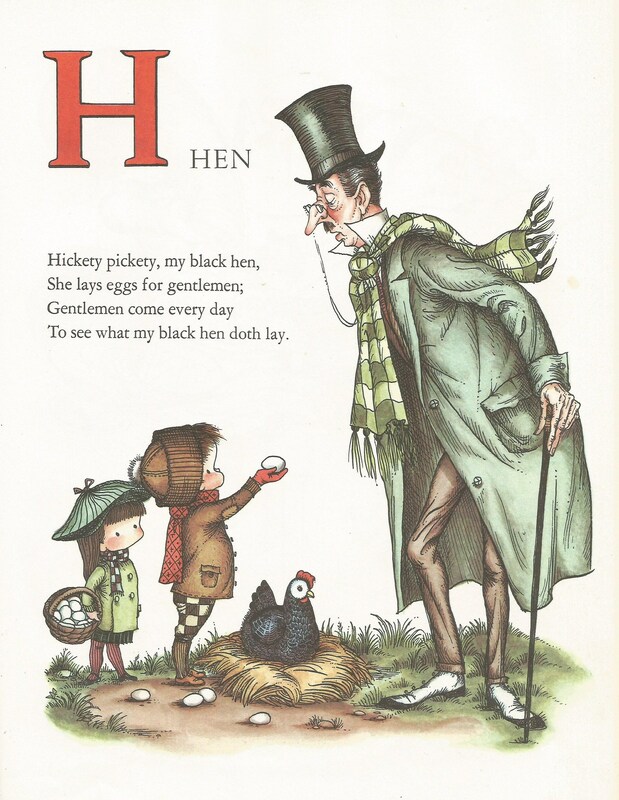 I’ve always loved illustration, particularly from the mid-century. 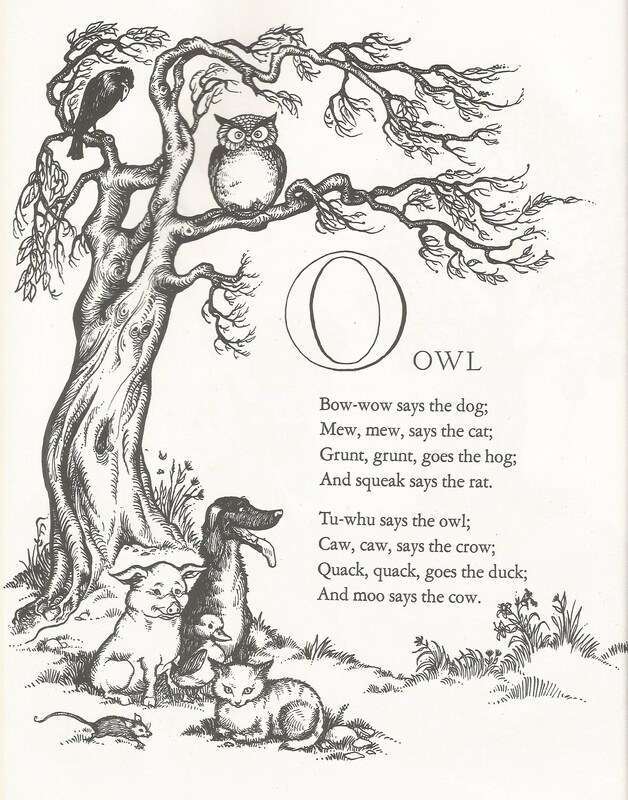 Even as a child, I was always drawn to old copies of Enid Blyton books, covered with pictures by Anne Grahame Johnstone; Milly-Molly-Mandy was another favourite of mine with the quaint, black and white drawings every few pages. 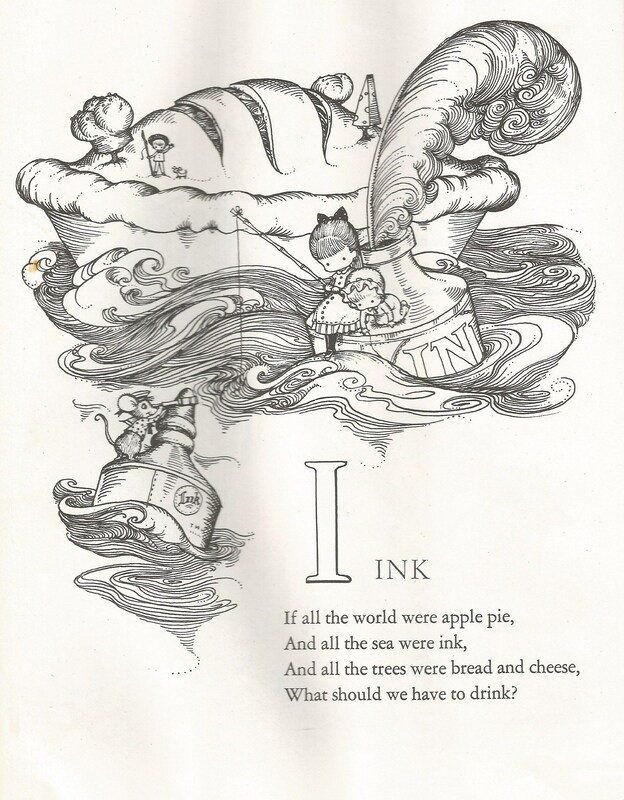 So, Anglund’s drawings are just a delight to my eyes! 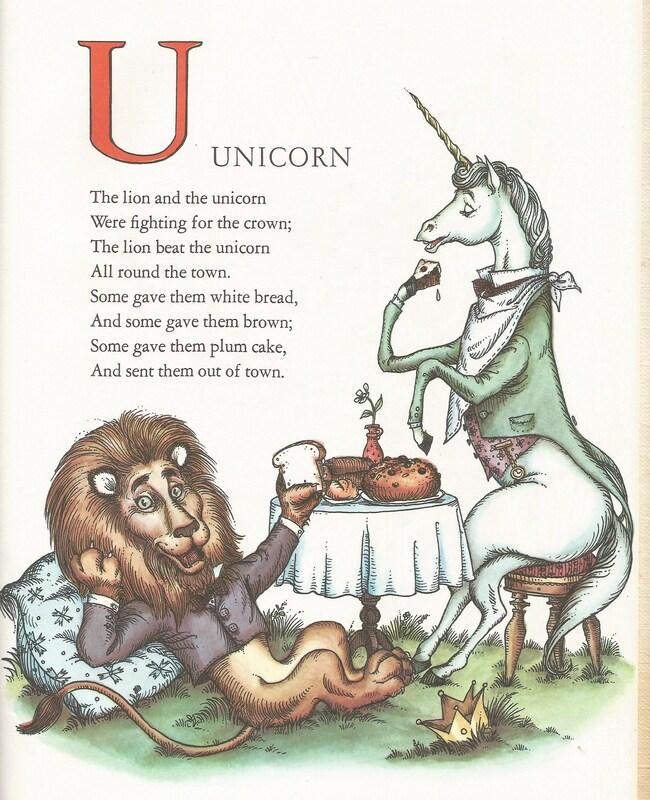 I particularly love that rhyme and picture. Something about the nonsensical nature really appeals to me. Really hope I haven’t jinxed the currently amazing weather we’re having. I love this October sunshine. Did I mentioned before about this being on of my favourite times of the year? The crisp sunshine, leaves changing colours, soups, stews, wrapping up in front of the fire, walks with wellies, reading books… I really do love it. Aidan: Are you sure they’re not just extinct? Well. Let’s just say, I’ve never let that go. And neither have my consistently amazing and tenacious friends who have also never let it go and continue to send me unicorn-related pictures at every opportunity. Perhaps I should utilise that particular picture to make Aidan a present? I’ve never liked the poem, but I do love that picture. I’d better escape this pumpkin shell now and go to pick up Torley from pre-school. We’ll have a nice walk home where she will refuse to tell me anything she’s done in the day but will try to negotiate how much Paw Patrol she can watch once we’re home. Enjoy the pictures, make sure you visit Joan Walsh Anglund’s website here.